There is a growing trend in companies shifting from on-premise solutions to cloud based solutions such as call recording. There are many reasons for this, such as the cost effective scalability, ease of deployment, low maintenance costs and the overall aid in efficiency. As end user and customer demands are developing in the digital workplace, innovative solutions are necessary and sought after. The cloud-based market is set to grow at 15% per year with on-premise to decline by 10% per year, according to Gartner research firm. One of the main reasons companies are moving to the cloud is for compliance. CRM systems keep client data and information you have, along with some advanced messaging systems or virtual fax solutions like eComFax allowing companies to send and receive encrypted documents securely, and call recording solutions offering the ability to keep a record of every interaction with clients. With acts such as GDPR and MiFID II after coming into effect over the last year, you need to securely store and encrypt data andin particular with MiFId II, record every interaction. With our recording solution Recordia, you can store, encrypt, transcribe and analyze all your calls through an easy to use interface. What’s more, our solution can be easily integrated with a variety of PBX´s and CRM systems. On-premise solutions while being stable and capable, have reached full maturity and there is no innovation. Adding new functions and features to premise based solutions is often too expensive and too much work and quite simply not viable. However, with cloud solutions it is quicker, less expensive and easier to be innovative and add new features. Good customer service is and will be essential for the growth of a company and client retention. Call recording is one of the most useful yet underused resources that companies have. It gives you direct access to your customers to obtain their thoughts, needs, wants and complaints. Our solution comes with a speech analytics feature you can transcribe and analyze 100% of the recorded calls, generating valuable information. You will also be able to automatically identify and analyze keywords, phrases of interest, categories and topics treated during the calls in order to reveal trends, concerns and opportunities. With on premise solutions the IT department is caught up in time-consuming tasks such as routine maintenance, managing software patches and system upgrades. There´s also the lack of user friendliness and administration interfaces which can put stress on any IT department and especially one lacking resources, as they have to add and make changes regularly. Cloud based services such as our Recordia solution help relieve the IT department of these responsibilities, allowing them to focus more on innovation and strategies. Nowadays, businesses face variability due to growth or reduction, seasonal busy periods, mergers etc., these can cause challenges with current infrastructure investments and can be quite costly. The ability to make adjustments inexpensively and easily is invaluable. Many cloud solutions offer exactly this. 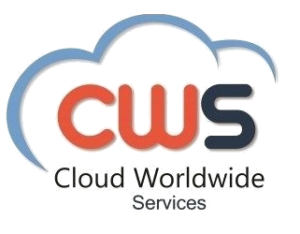 Some cloud-based solutions like ours, can be quickly and easily deployed, scaled, customized and at a low cost. Therefore, businesses can meet business needs faster and have clearer insights on budgets and timelines. With flexibility and benefits like this, it´s no wonder businesses are moving to the cloud. With the rate of technological advances and such a high projected growth rate of cloud solutions, it´s vital to take measures and not risk straggling behind the competition. In the competitive global market of today, businesses need to have an edge on competitors. There is little room for technologically adverse companies. By using cloud based solutions you can improve growth and efficiency of the company as a whole, gain insight using data that you may otherwise have disregarded or were even unable to access and use. The first thing you should do is evaluate your company´s needs, the type of solutions you need and how to begin your shift from on premise systems to the cloud. Then start researching providers that can help you achieve this. If you´d like to learn more about our cloud solutions Recordia or eComFax, don’t hesitate to contact us.